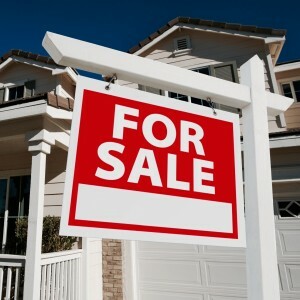 Residential and commercial properties may be vacant for long periods of time while they are on the market looking to be sold. Properties may sit vacant while on the market for any number of reasons, like foreclosure, a death in the family, or probate court proceedings for example. Keeping these properties secure while they wait for potential buyers is important to avoid break-ins, theft, graffiti, tagging, vandalism and environmental problems, like frozen pipes, ice dams, wind or storm damage and other problems. Adding a vacant property to a regular security patrol route will keep a watchful eye on the premises while the real estate agents work on getting them sold. In some instances, these properties may require special insurance policies since they are vacant. In many cases, these properties will require regular security inspections to avoid higher premiums, or being dropped by the insurance company altogether. Security patrol services offer a great option for keeping vacant properties safe and secure while they await the right buyer. Patrol agents can conduct basic security checks of the exterior of the property, or can perform complete interior inspections of the premises. This will insure that busy real estate agents do not encounter any surprises when they go to show the property to a prospective buyer. Imagine showing up to a real estate showing and finding that the house was vandalized and the copper pipes were ripped right out of the walls and stolen causing tens of thousands of dollars worth of damage. Or showing up to find that the house or business property was trashed during a squatters party. Not only will events such as these delay the sale of the property and cost thousands of dollars to fix, but they are guaranteed to turn off any potential buyers. Who is going to buy a house that was recently vandalized? If you are a real estate agent representing the owner of a property that is currently vacant for any number of reasons, consider recommending that the property be added to a regular security patrol route. Adding a vacant real estate property to a regular security patrol route will make the property an unattractive target for vandals and thieves. It will also make sure that the property is always ready to be shown and that there will be no surprises that may tank any potential real estate deals. Security patrol services can be contracted to regularly check the property any number of times per week, or can be utilized without a contract for on demand security patrols whenever the property requires a security check before an open house or a showing. Contact us to find out more about security patrol services.